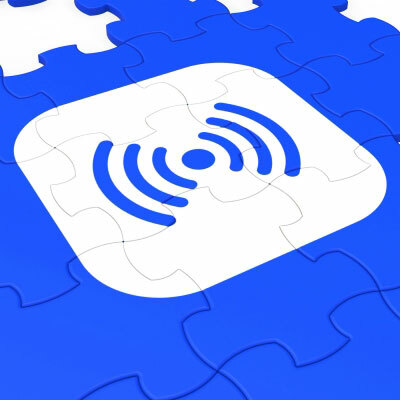 Wireless technology has been regarded as a paradigm shifter in the process industry. It eliminates the need to run cable trays for wired devices, enables outdated plants where cable trays are full to incorporate more modern automation equipment, and makes it possible for humans to gather data and interact with equipment in cleanroom environments where physical interaction could introduce bioburden. For more on how to integrate wireless technology to automate your factory floor, don't miss Paul Selzer's Learning Lab at MD&M West in Anaheim, CA, on February 13, 2014. WirelessHART technology, officially released in September 2007, is the first open wireless communications standard specifically designed for process measurement and control applications. Part of the HART 7 specification—the first specification to be approved internationally for wireless communication of process instruments—WirelessHART is the predominant specification for wireless communication of process instruments in commercial industries. Its application in the medical device and pharmaceutical industries makes WirelessHART the most widely accepted standard for wireless communication of industrial devices. Despite its benefits, manufacturers face challenges in implementing WirelessHART networks for wireless process control in GMP plants. One of those challenges is the validation and verification of data security, which is a key protocol for software installation qualification, operational qualification, and performance qualification in any GMP plant audited annually by FDA. Power consumption is another concern because many WirelessHART transmitters operate only on battery power. Some models are available with line power, but originally the sole power source for a WirelessHART transmitter was a battery-operated device. A third challenge involves the inherent EMI and RFI present in plants due to motors, mixers, agitators, HVAC units, chillers, and forklifts. This interference can lead to degradation of the signal-to-noise ratio of the WirelessHART device, resulting in crosstalk. For example, a maintenance technician using a walkie-talkie in the local area of the WirelessHART transmitter may cause interference with the assigned 2.4-GHz frequency in which the transmitter operates. Such interference can be random in nature and difficult for a technician to troubleshoot because the interference is not constantly present. Various types of wired and wireless networks are found in medical device manufacturing plants. There are forklift vehicles with radio-frequency identification tracking devices, remote security cameras employing wireless technology, mobile operators of radio devices, and the self-organizing mesh network. Because many wireless standards use the 2.4-GHz frequency band, it is extremely important that the various wireless communication protocols (WiFi, WirelessHART, ZigBee, WiMax, and others) can operate together on the band. Methods employed to minimize crosstalk include spectrum spreading, frequency hopping, and time-slotted and scheduled transmissions. Data sent over the network can only be retrieved with the spectrum-spread code and frequency-hopping patterns, thus ensuring security of the network.3 Another method using multiple devices (nodes) to select the best throughput path to the gateway to avoid congestion is known as multipath networking. Finally, the technique of blacklisting channels is used to avoid crosstalk. For example, suppose a plant uses WiFi channel 5 for ISA-100.11a communications and channels 22 and 25 for general WiFi communications. The system manager configures channels 22 and 25 to be blacklisted for ISA-100.11a communications, so both wireless technologies can coexist in the plant. There are four primary types of WirelessHART topology: star, tree, mesh, and cluster. Star. The star topology is similar to the five-pointed star that we learn to draw in grade school. Its central communications hub is in the center of the star, and the end points are the transmitter nodes of the star topology. This type of WirelessHART topology has one disadvantage: If one end-point node loses communication data with the central communications hub, then it can’t reroute the transmission to another end-point node to relay the information to the central communications hub. Tree. The tree WirelessHART topology resembles the trunk of a tree, with its branches descending into various main branches and subbranches of the tree topology. each ISA-100.11a end device uses Internet Protocol version 6, the latest Internet technology. This ‘future proofs’ the network by enabling access from a field wireless node using the latest IP technologies. The ISA-100.11a protocol has many features for scalability in terms of number of nodes that can be added as well as how much area can be covered.3"
An Abbott Laboratories facility in Temecula, CA, implemented a Siemens Sitrans WirelessHART temperature transmitter with an external probe in a Luwa ES2300 chamber where reliability testing was performed on stents. The transmitter communicated with the facility’s Siemens Apogee II Building Automation System, recording electronic data around the clock. The Apogee II System can capture data and analyze it for a designated timeframe. For example, an excursion on a Luwa ES2300 chamber could be set beyond the temperature controls of 20–40°C, and the Apogee II System will provide a trend chart for the period of time that the excursion occurred. The use of the WirelessHART transmitter allowed the team to use the Luwa ES2000 on a cart and roll it into position anywhere in the cleanroom for research and development purposes without physically entering the space and thus introducing bioburden. The same facility also used WirelessHART temperature and humidity transmitters from Rotronic in moving 20 environmental chambers from one building to another building across town. Each environmental chamber was installed with a Rotronic wireless temperature and humidity probe to report around the clock to the Siemens Apogee II Building Automation System in the facility. Process automation control has undergone many technical upgrades in recent years, and WirelessHART technology is gradually replacing its wired equivalents. WirelessHART can offer dramatically reduced costs in wiring, engineering, installation, and maintenance, combined with increased data gathering flexibility. For the medical device industry, WirelessHART technology allows the versatility of using a transmitter anywhere in a cleanroom on a mobile cart. In areas where humans' presence could significantly impact the bioburden count, WirelessHART devices allow human interaction without introduction of bioburden inside the cleanroom. 1. Wireless Hart Technology, [online] (Austin, TX: HART Communication Foundation, 2013); available from Internet: http://www.hartcomm.org/protocol/wihart/wireless_technology.html. 2. J Song et al., “WirelessHART: Applying Wireless Technology in Real-Time Industrial Process Control,” (paper presented at IEEE Real-Time and Embedded Technology and Applications Symposium, St. Louis, MO, April 22–24, 2008). 3. A Ajmeri, “Field Wireless Networks: ISA-100.11a and Other Wireless Technologies are Making Inroads into Process Control and Measurement Applications,” ISA, November/December 2013. Paul R. Selzer is the principal calibration engineer at Baxter Bioscience. He will present a Learning Lab based on this article at MD&M West on February 13. Reach him at [email protected].